May 24. 2018, marked a special day for the Beldo family of Sebeka, Minnesota. Deb and her husband Charles had just learned their daughter had given birth to a baby girl and were on their way to see her. As if the day wasn’t already exciting enough, they came home to a surprising scene. 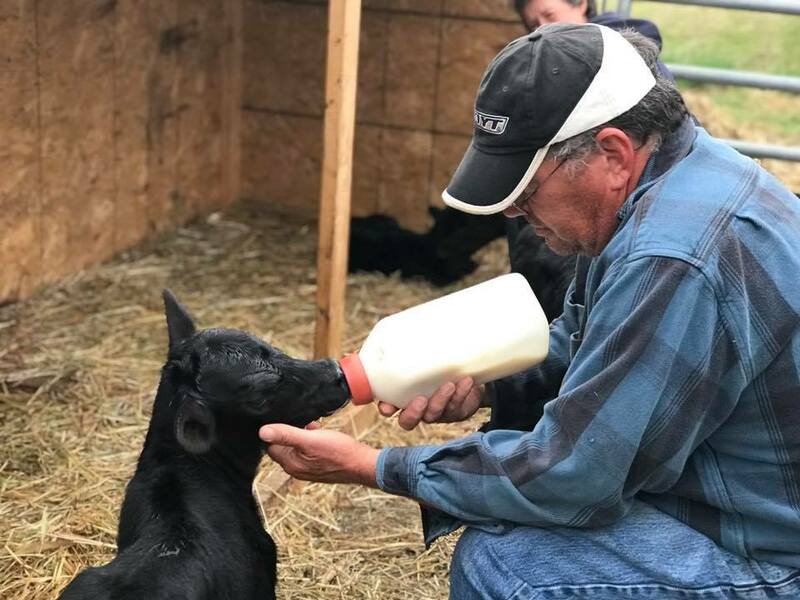 Earlier in the year, the Beldos had noticed their cow, Momma Moo, was pregnant— and now, as they returned home from visiting their new granddaughter, they saw Momma Moo panting heavily. The cow had gone into labor. Little did they know the delivery would be one for the record books. 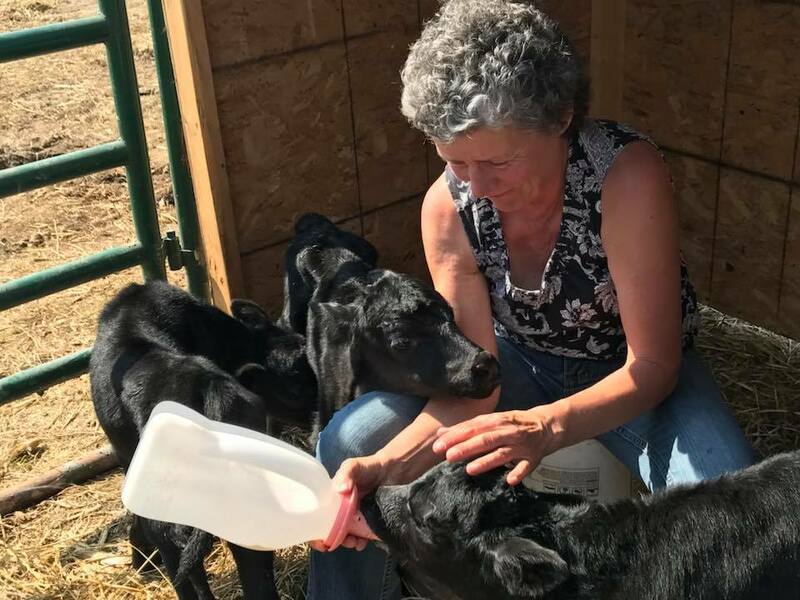 “I’ve been around cows my whole life, and I’ve never seen anything like it before,” said Deb. Interestingly, a few months earlier, Deb had noticed Mamma Moo looked bigger than normal but had assumed the cow was pregnant with twins. 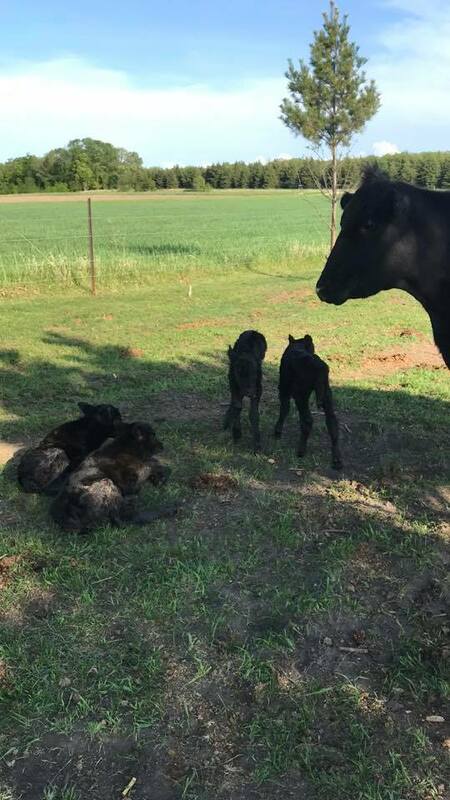 “Actually,” she continued, “they had a set of twins born earlier this year, but unfortunately they came during the crazy cold weather we had in April, and they didn’t make it” — but contrary to Deb’s suspicions, Mama Moo didn’t have twins. Instead, Mama Moo surprised everyone by giving birth to four healthy calves— the chances of which are 1 in 11.2 million. “A few unusual events yesterday,” she wrote. After sharing the rare birth story to Facebook, Deb’s post immediately went viral. Although the Beldos were ecstatic with their new additions, they also didn’t want to be too quick to count their blessings. The quadruplets were born weighing only twenty to twenty-five pounds. To put this into perspective, the average calf weighs approximately sixty. The Beldos knew they’d have to help Mama Moo if they wanted their new members to survive. Although the Beldos’ animals are bred for beef consumption, the family is looking to name the quadruplets will likely take them in as pets.